I love the change in the seasons because it means it’s time to upgrade and switch up my make up and beauty regime. Not only do my colours of choice change up and I experiment with more pastel shades on my nails, but I also switch up my skincare too. But another thing I always change up in the spring is my make up tools. 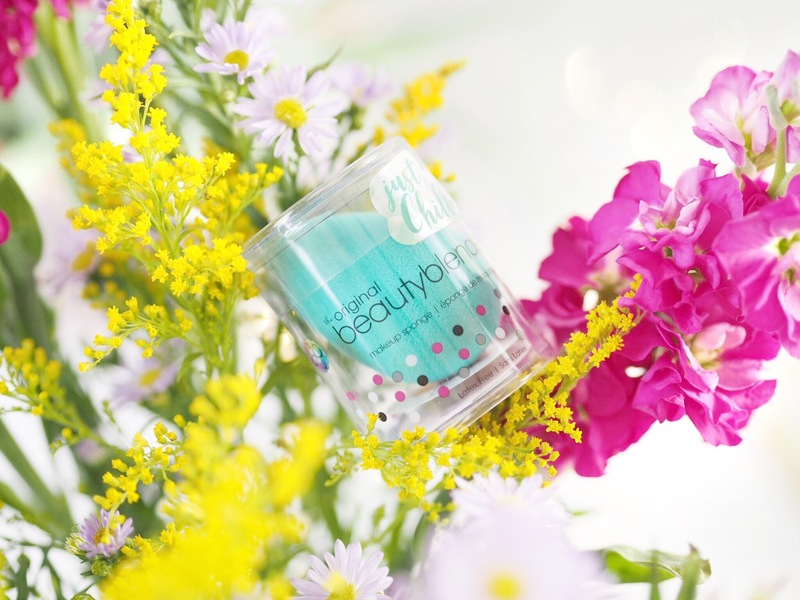 After seriously applying deep make-up during winter, spring means it’s time for some new Beauty Blenders! I clean my beauty sponges regularly and if you haven’t read my post Here’s How You Should Be Using Your Beauty Blender which contains some tips on getting them cleaner than clean, then make sure you do. But I also like to make sure I’m not using them past their lifespan. I know some people keep their sponges until they’re literally broken and falling apart, but personally I don’t think you can expect great looking make-up with a tool that’s past it’s best. 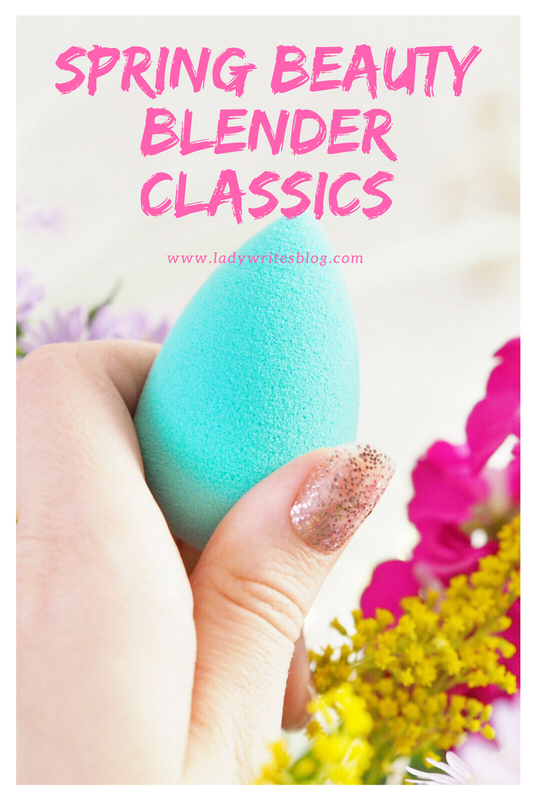 So with all that said, spring is time to welcome some new Beauty Blenders and the additions I’ve chosen are pretty special in their own right! Naturally the first item has to be a new original Blender, as it’s the one I use the most. Start by investing here. This time I’ve gone for the Chill version which is a bright and colourful spring turquoise to add some colour and fun to my make up application. As with all Blenders, it applies make up to an airbrush and flawless standard when applied while damp. And the contoured shape means you can get the edges right with the point, as well as a great all over finish with the curved end. 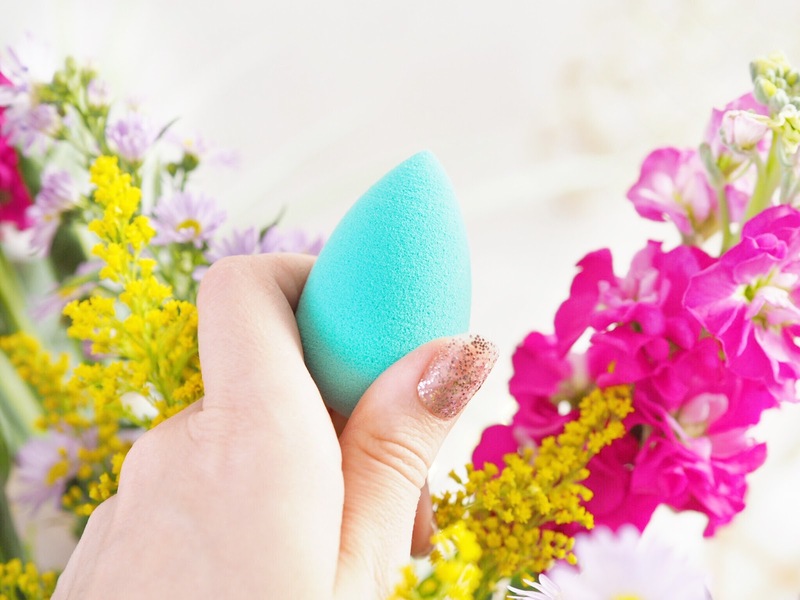 When you use a Beauty Blender for the first time, it’s easy to see why they are the cult classic make up sponges and some of my favourites in the sponge market. *It’s bright turquoise, so what’s not to love?! I’ve featured this twice now because I’m sure a huge fan of this great set. Two of my favourite brands together and with the sweetest little set – it’s an absolute must have treat for spring. Plus, it’s practical too! 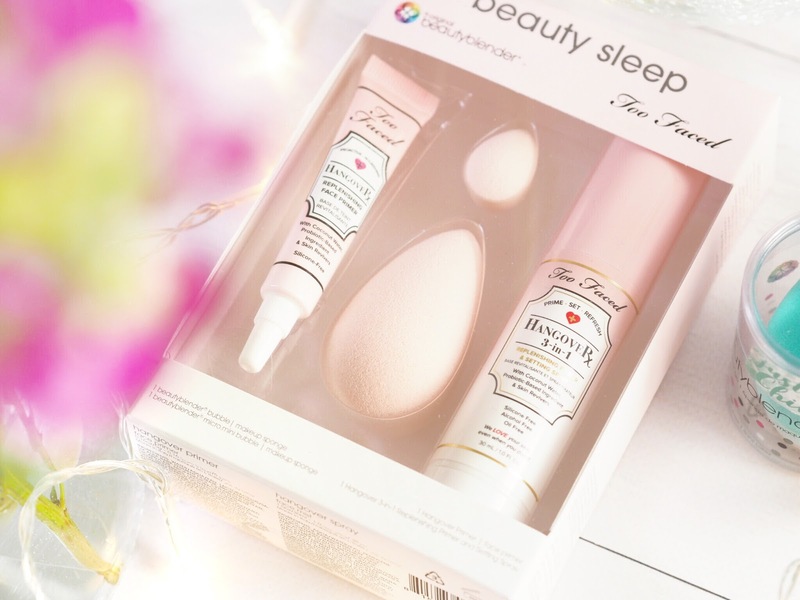 The Beauty Blender x Too Faced Sleep Set contains the original sized Beauty Blender and one of the Micro Mini versions too, both in my favourite blushing pink shade. The two Blenders together mean you’ve got a full face of make up application right there in one set (the Micro Mini is great on my eyes.) Combined with two mini sized versions of Too Faced’s Hangover Primer and Spray, the set aims to give you everything you need to wake up and look fresh – from the products themselves, to the way you apply them. 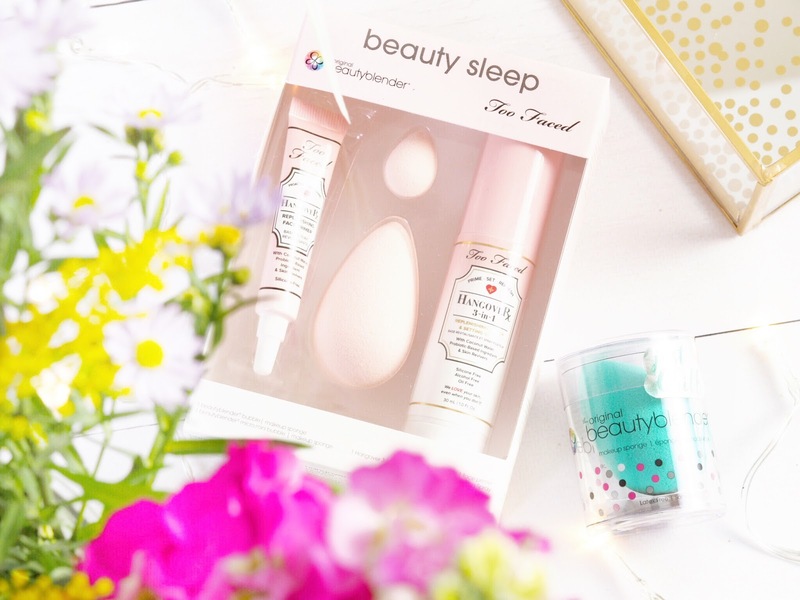 I’m a huge fan of the Too Faced Hangover Primer and the Spray is a great travel size for the handbag too, and a girl can never have too many Beauty Blender’s in her life….So this set is an absolute must have! So if you’re wanting to take your make-up bag to spring ready, and get your make-up application looking fresh for spring, then make sure you invest in some of the new goodies from Beauty Blender! Next Post Are WE The Actual Problem With Instagram?